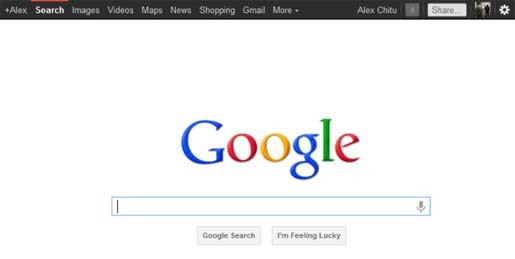 News: Google’s black navigation bar will be back? In order to simplify the navigation bar, Google has attempted some tasks. However, it was not successful. The menu released six weeks ago is no longer available and it has been replaced with the old black navigation bar. Therefore, it was not available with all the browsers. However, it was still available in Chrome, but that was no longer case after clearing the cookies. Google indirectly confirmed this change two days ago, when the screenshots from a Google blog post included the old bar. While simplifying the things, you can end up making them more complicated. Therefore, if you hide any menu in the navigation bar will never help you as it should be obvious to simplify our tasks. As the new menu consumes more space than the navigation bar, everyone expects that Google will fix the navigation bar issue soon.